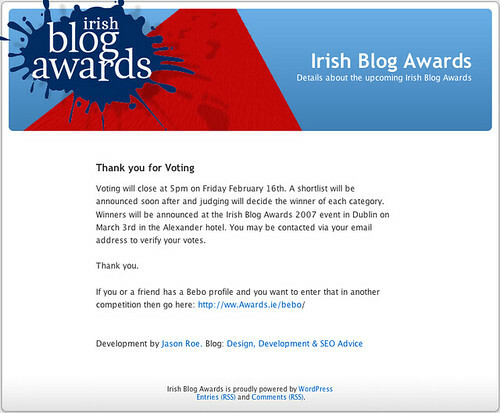 Today is the last day of voting for the Irish Blog Awards – voting closes this afternoon at 5pm GMT. Everyone is eligible to vote. If you haven’t already voted (and if there is still time when you read this!) head on over to the voting page to cast your ballot. I just cast my votes! best of luck in the awards! Best of luck Tom. You got my vote. Wow – thanks a million Kav – much appreciated!